gooey, creamy, crunchy, chewy, melty, crumbly, chilly or cakey – chocolate satisfies your tastebuds and your soul like nothing else can. 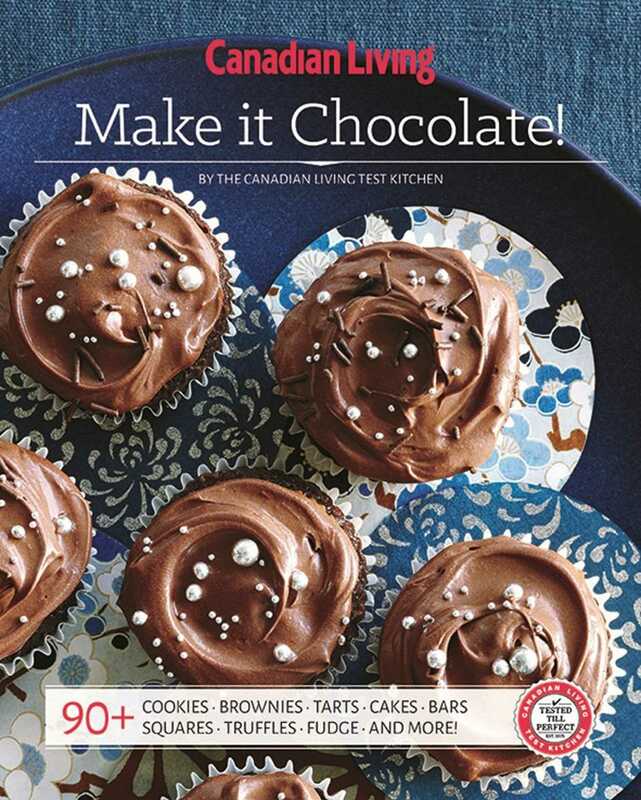 The food experts in The Canadian Living Test Kitchen have pored over the thousands of chocolate recipes in their vault to create this best-of-the-best 100 recipes collection. They’ve also shared tips and tricks that make cooking with chocolate easy and enjoyable. The best part is that every recipe in this book offers the Canadian Living Tested-Till-Perfect guarantee. Our Test Kitchen has tasted, tested and perfected them all so that every decadent dish you make at home will be a luscious success. Book Cover Image (jpg): Canadian Living: Make it Chocolate!